Sudden cardiac arrest is the leading cause of death in adults over the age of 40. The antidote to that startling statistic is this: sudden cardiac arrest (SCA) is reversible in most victims if they get the right type of medical attention within the first few minutes. That’s where corporate CPR training comes in. While heart attacks aren’t discerning about where and when they hit, business owners can be discerning when it comes to getting important, lifesaving information into the hands of their employees. The most deadly cardiac arrests typically occur between 6:00 a.m. and 12:00 noon and, according to OSHA, about 10,000 sudden cardiac arrests occur in the workplace each year. By providing routine corporate CPR training for key employees, management or – as many experts advise, the entirety of the payroll staff – you increase the survival chances for each and every person that could experience a cardiac arrest in or around your workplace – employees, clients and/or prospects alike. Examples include healthcare professionals, law enforcement officers, daycare providers and educators. CPR certifications are also more likely to be required for those at higher risk for experiencing a cardiac arrest – such as utility personnel, electricians and construction workers. If employees at your business are legally required to hold a current CPR certification, workplace CPR classes are the way to go. In addition to making sure your employees are in compliance, you also alleviate any potential litigation that could ensue if an accident occurs and an employee was never certified, or their certification has lapsed. 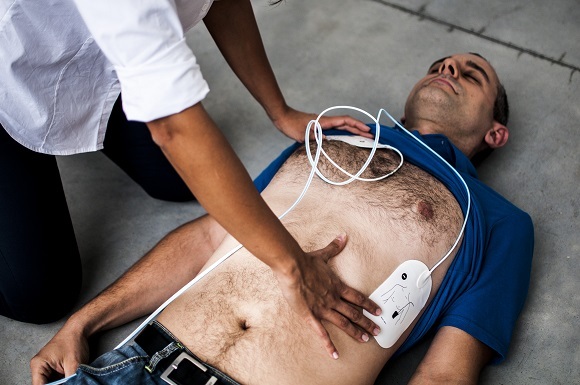 Why invest in AEDs if employees know CPR? A victim’s chances of survival diminish by 7% to 10% with every minute that passes after an SCA. After 10 minutes, very few victims survive. Effective CPR, administered within the first several minutes, can double or triple a victim’s chances of survival. 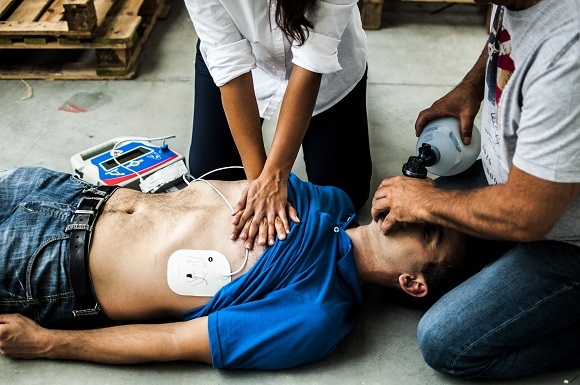 Studies indicate that when an AED is applied within the first minute after a heart-related incident, 90% of patients’ hearts can be pumping on its own by the time EMS arrive. North Carolina and Virginia passed legislation providing civil liability immunity regarding good-faith use of AED. 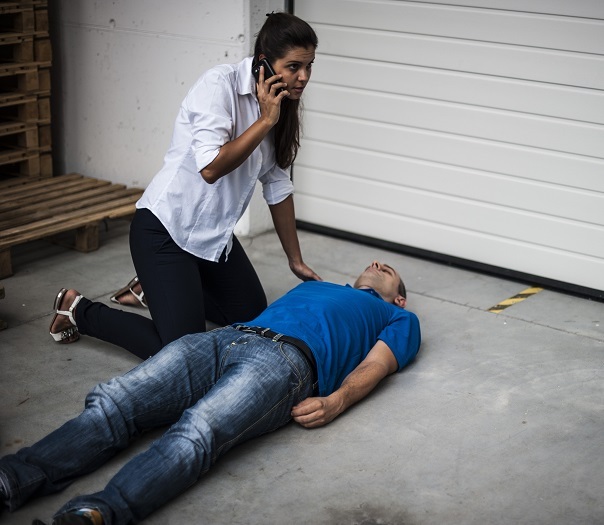 According to Ready.gov, all levels of a company’s emergency response team should be trained to administer first aid, CPR, and AED. Contrary to popular belief, AED is as simple to implement as CPR and requires less physical exertion. Units are well-marked with easy-to-follow instructions, removing guesswork from the equation. Most facilities are required to keep AED equipment up-to-date, which is why we offer regular AED inspections as part of our services. Whether your employees are required to have CPR certifications, or you are interested in creating a company culture that prioritizes the well-being of your workforce, corporate CPR training is a smart, effective and affordable way to empower employees. The knowledge they acquire can save lives – and one of them might even be yours. Contact us to learn more about our onsite Corporate CPR Training courses, AED installation & training, or any of our other first aid educational programs.